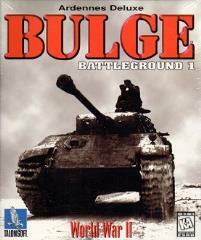 Battleground 1 – Bulge is like no other historical strategy game you’ve ever played! With the revolutionary Battleview combat system, you can relive crucial moments during the Battle of the Bulge, the most famous American land battle of WWII. Can you hold off the advancing German war machine? Dig in with the U.S. 1001st Airborne defending freedom from the Nazis at Bastogne, or ride to victory with the legendary German King Tiger tank. Take command of Peiper’s infamous SS, or lead a blistering U.S. counterattack to retake Stoumont!